Surfing the web the other day, we came across a new Japanese snack food put out by Frito Lay Japan. It took a second to process what we were seeing -- Mountain Dew flavored Cheetos! We did some research and learned that these were indeed not being distributed in the USA so we went ahead and arranged to have a snack cup of the curious new food special ordered from Japan to our house. 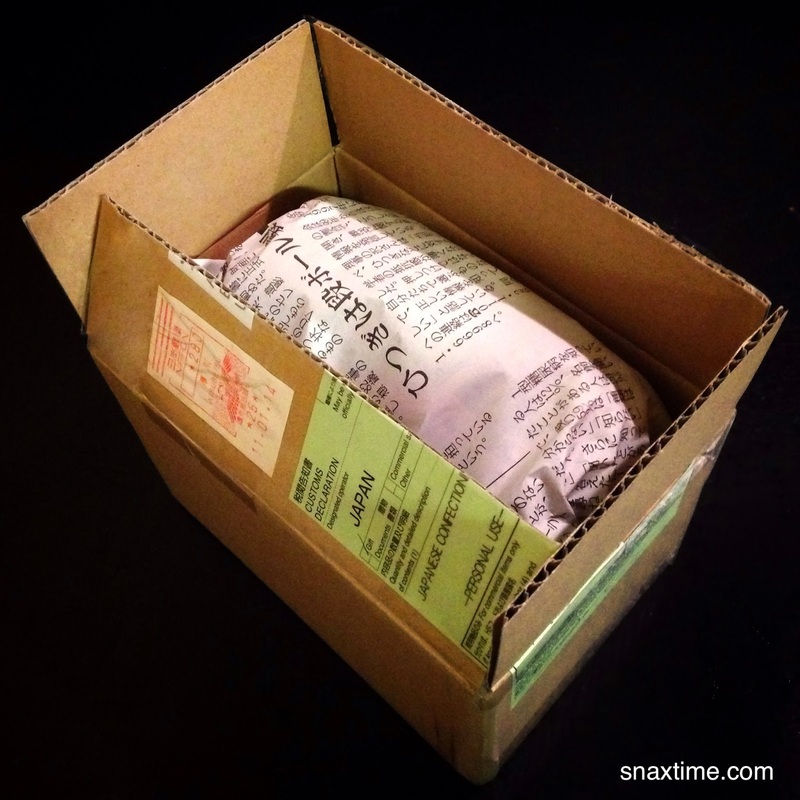 About three weeks later we got a small package in the mail with a cool Japanese customs sticker declaring the contents as "JAPANESE CONFECTIONERY." Inside we found the Mountain Dew Cheetos cup design to be colorful, bold and compelling. 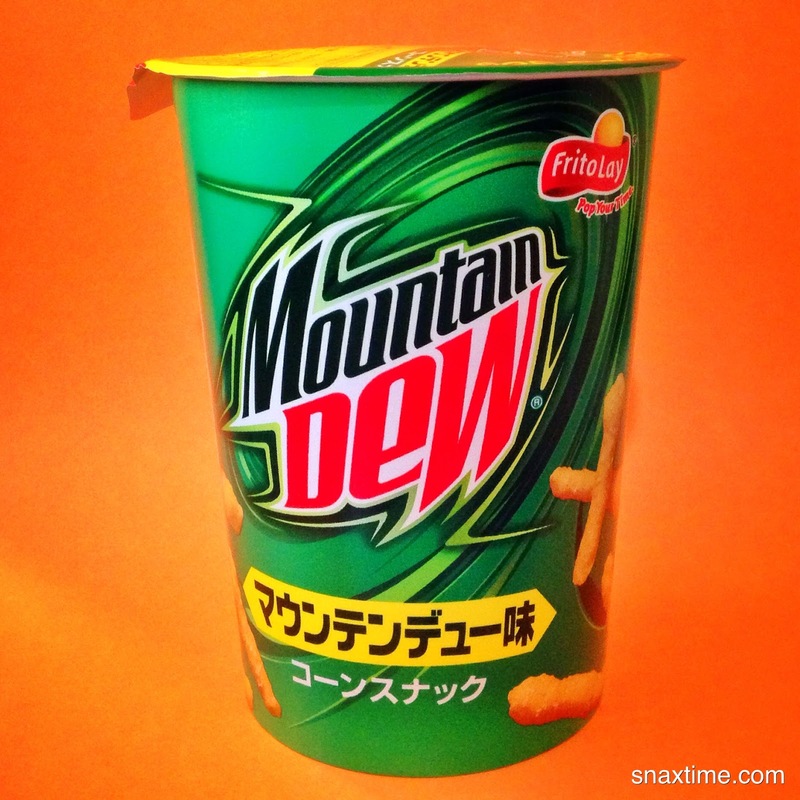 The only english words on it were "Mountain Dew" and "Frito Lay: Pop Your Time." We popped open the container and inside found strange ghostly colored Cheetos with lots of white powder on each corn twist. In an excited panic we popped a Mountain Dew Cheeto in our mouth and were immediately taken aback by the odd flavor. The signature Cheetos corn flavor and crunch were there, but so was a sour citrus taste with a slight saltiness. The tart lemony tang was sweet but also contained a bitter taste that was chemically in flavor and reminiscent of diet sweetener. There was also a slight effervescence (or were we just imaging that?) and the aftertaste was like an artificially flavored lemon lime corn breakfast cereal. 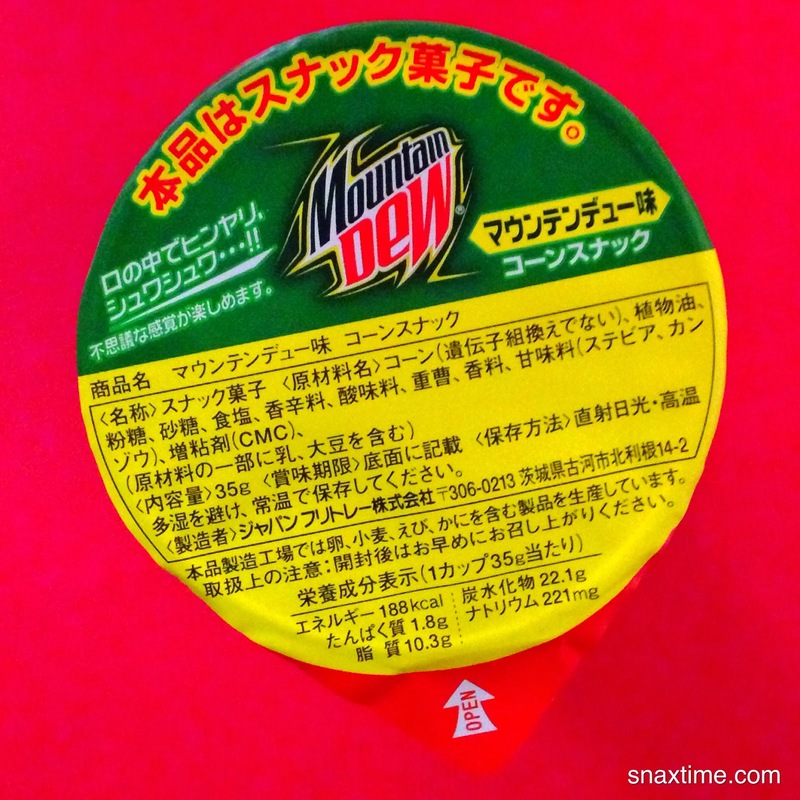 Surely it tasted a bit like Mountain Dew, but overall there were so many flavors going on that ultimately we were left confused by the strange Japanese snack. 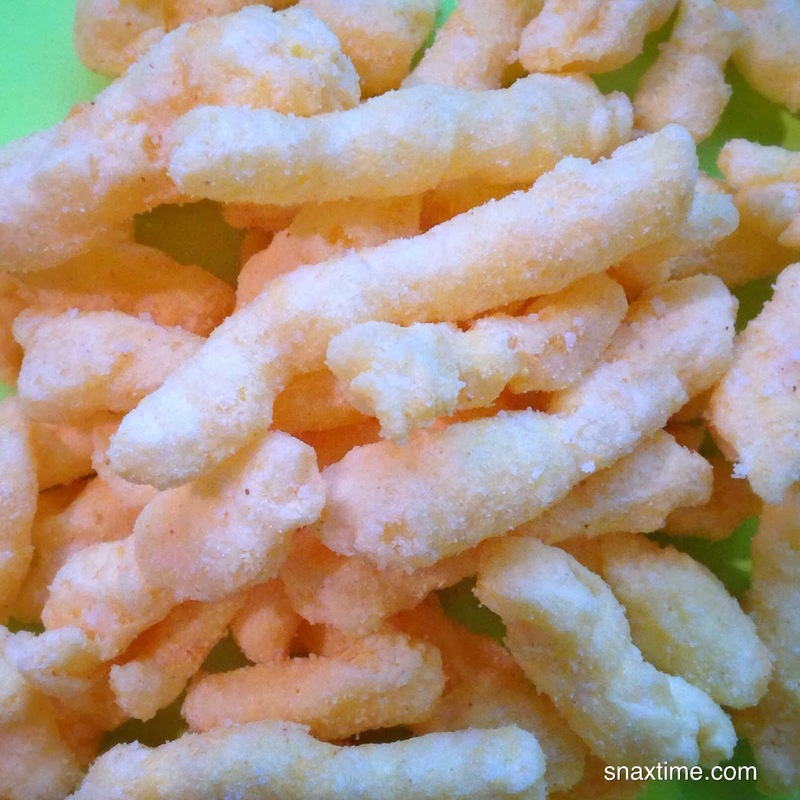 Although we had a lot of fun anticipating the package and trying the exotic, rare snack food, we certainly would not munch on these for pleasure on a regular basis and we don't see these Cheetos flying off American convenience or grocery store shelves. Keep them in Japan.